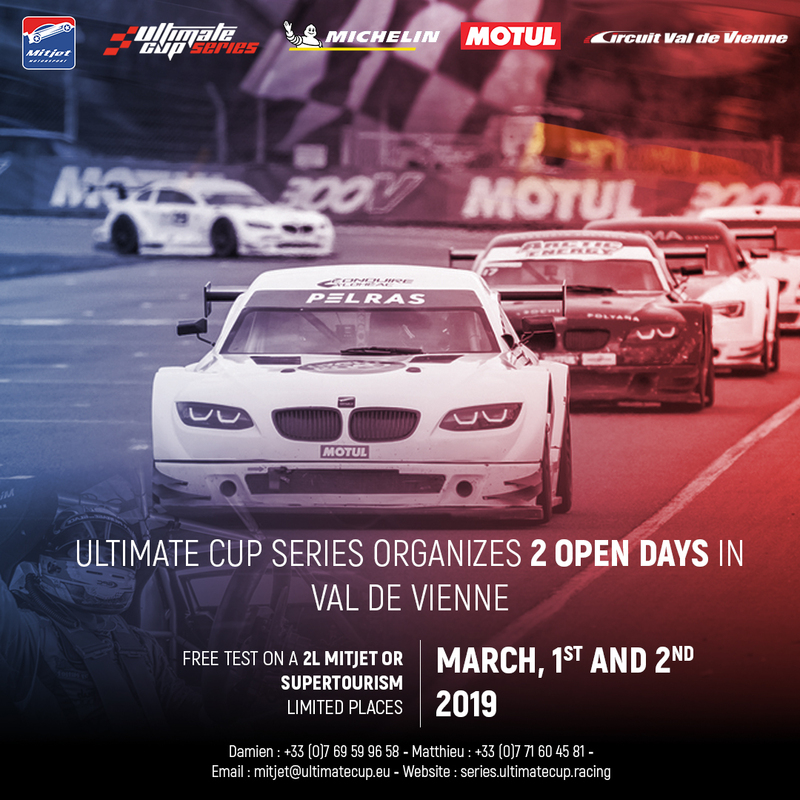 The 2019 season marks a new chapter in the history of Mitjet France with the Ultimate Cup Series as its promoter. Several changes will be made for the 13th season, starting by Michelin being the new tyre supplier. The format of free practice is somewhat evolving with the Sprint and Endurance categories running at the same time. 60 minutes will be allocated to competitors in each round of the calendar. 15 minutes of qualifying will be done before Race 1 and before Race 3. The major change of the season, concerns the races, which return to a purely Sprint format, with 4 races of 20 minutes + 1 lap. In Endurance, the races organized in 2019 will last between 3H30min and 6H00min! The Mitjet France has 3 categories. The Pro category: drivers over 21, drivers under 40 years old and all drivers over 40 who have won a championship in the last 5 years. On the technical side, radios will be allowed in the ST’s and the 2L’s this season. While waiting for the start of the season at Dijon, end of April, two days of tests are organized next week, on the circuit of Val de Vienne.